Some jet fighter photos look so perfectly choreographed and sharp that I automatically think they must be computer generated frames from some movie or game. These ones are very real. When I see them, I hear someone in my head screaming "EVASIVE MANEUVER!" 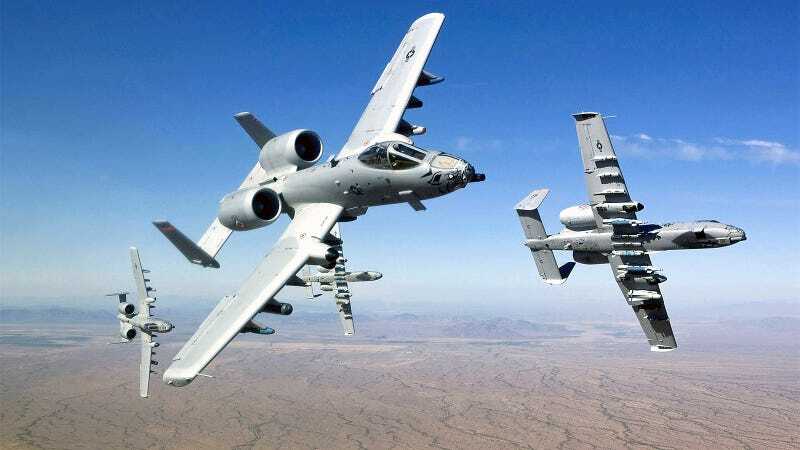 I don't know why the A-10C Thunderbolt II Warthogs from the 188th Fighter Wing, Arkansas Air National Guard need to make evasive maneuvers, but it's good to know these guys can pull some nice Gs on the mightiest air tank killer ever created. Looks like fun.